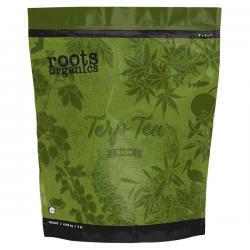 VermiCrop Organics is proud to introduce the Polyester Brewing Bag for compost tea home-brewers everywhere! 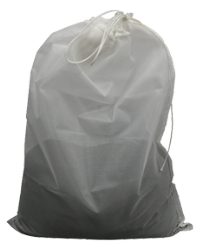 Measuring 12x18 inches, this 200 micron bag is designed for proper bacterial and fungal extraction at an economical price. 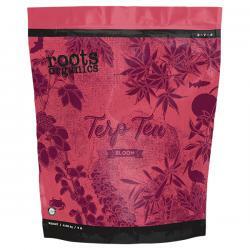 Made in the USA of polyester with a cotton drawstring, this bag will last many brews when cleaned and treated properly. Used in indoor gardens to reflect the light back onto the plants. This film can be tacked or taped directly to a flat surface. 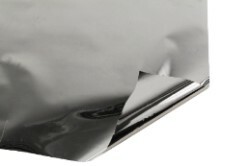 Both sides are metallized for optimum reflectivity. Neatly wound on 2" cores. Individually poly-bagged and labelled.